Made for quick and neat cutting to length of material packs. Cross-Cutting Clipper MultiCut CSC is perfect for quick and neat cutting to length of veneer packs. Tear-out-free cutting is assured by the powerful, vertical operation of the knife. An excellent view of cutting area is made possible by the narrow construction. The picture shows the machine with the bezel of the knife on the right for working from left to right. On request the machine is available turned through 180° with the knife bezel on the left. 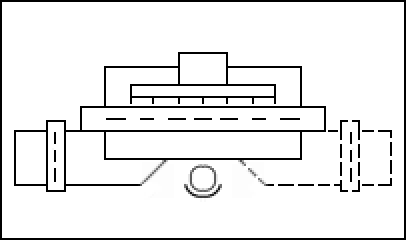 A green light beam of the Cross-Cutting Clipper MultiCut CSC clearly indicates the cutting line. Lengths are indicated on 2 measuring tapes. The pressure bar is lowered at the same time as the knife. Quick and powerful operation of the knife is assured by a brake motor, gear unit and crank drive. The cut is actuated by a two-hand pushbutton control. Control operations can be performed directly adjacent to the cutting area on the right or left-hand side. If you need an angular arrangement on the right or left-hand side of a longitudinal veneer jointing guillotine or on both sides, we will design the work tables accordingly. The Cross-Cutting Clipper MultiCut CSC is equipped with a safety-orientated electric control system, a Plexiglas guard and plug-in type angular stops. Also available on request: Work tables of greater lengths with intermediate supports and length stops. 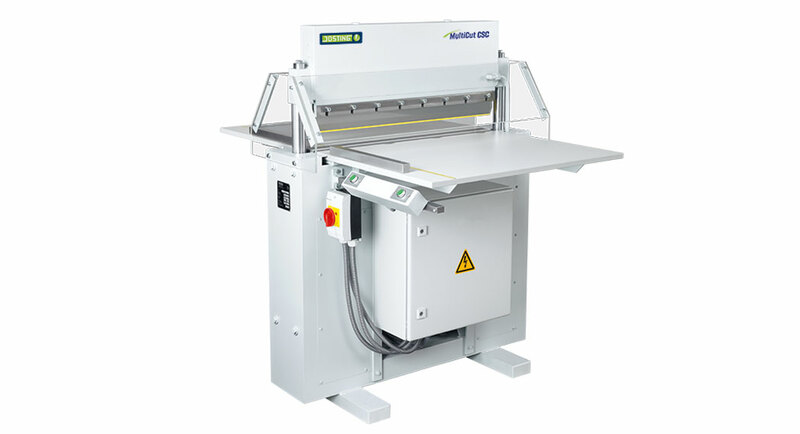 This special machine promises you high performance, minimum maintenance and optimum veneer cuts. Place in any angle left, right or double-sided on the longitudinal knife. Cutting of the material packages foursided.